John Hennessy is the British author of paranormal fantasy horror for YA, psychological horror and murder mysteries, plus his own unique take on vampire lore. He has also written ghost stories and delved into high epic fantasy with a hint of romance. A kung fu addict; he teaches martial arts full-time but writes at all other times, working on four series:- Dark Winter, Haunted Minds, Stormling and A Tale of Vampires. When he doesn't have a book in his hands, he likes to travel and see weird and wacky things. He admits to having an unhealthy addiction to Star Trek, Batman, Charmed and Buffy the Vampire Slayer, to name but a few. He will also travel to reputed scary places in England, as he feels it makes his books more real. The Ghost of Normandy Road: Haunted Minds Series Book One is a thrilling tale about a boy named Danny who lives in a town with three local legends. The first legend is the Witch of Hill Top Green, which Danny doesn’t believe and thinks it was designed to make kids run faster. The second legend is the Tooth Fairy with Blood Red Wings, which Danny doesn’t believe until it attacks him. The third and final legend is the Ghost of Normandy Road. Danny is unsure whether to believe it or not, but he thinks there is something unusual about 110 Normandy Road. Follow Danny as he falls in love with a girl named Rebecca, but then she vanishes. Other strange disappearances happen that lead others to suspect Danny. Discover the truth about the ghost of Normandy Road. The Ghost of Normandy Road is a thrilling, must-read book that is action-packed and will leave you on the edge of your seat. Author John Hennessy describes the events so well that I felt as though I was there alongside Danny. I found the characters relatable and the scenery spectacular. Author John Hennessy leaves us spellbound and in awe. 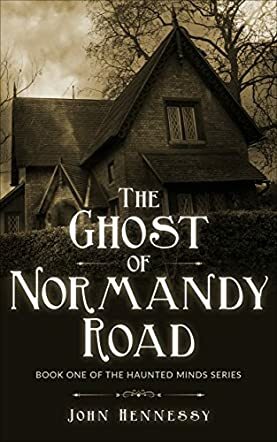 The Ghost of Normandy Road should be an award-winning novel because it is well written and riveting. I highly recommend it for adults, as well as young adults. It is the perfect book for anyone who likes scary stories. It has the kind of cliff-hanger ending that will make you want to read the next book.